Term 3 starting 13 August 2019. Most of us get around in cars, either as drivers or passengers, so you might think rail has little to do with us nowadays. Think again - we all have to go through level crossings and sometimes have to stop and wait for a train. Many students walk or bike to school and some have a railway line between home and school that influences the route they take. In some cities catching a train to school or work is common, and even more rail lines and trains are being built to take people to more places than ever before. Keeping safe around trains is important. The more people who take trains the safer and less congested our roads will be. Plus, it's better for our health to get out and about and more sustainable for the planet to stop using cars quite so often. During Rail Safety Week, look at the serious issues there have been involving trains in New Zealand and find out why rail safety should concern you. On this trip, meet people who are most involved with rail on a day-to-day basis and share your thoughts with them. Enrol now. If your school is located near the rail corridor explore citizenship as personal responsibility or help solve rail safety issues by creating and using your own 'wicked problem' map. Use some of the rail safety curriculum resources from the NZTA Education Portal. In the North Island of New Zealand, rail is particularly visible and used in a variety of ways as part of this nation's transport infrastructure. 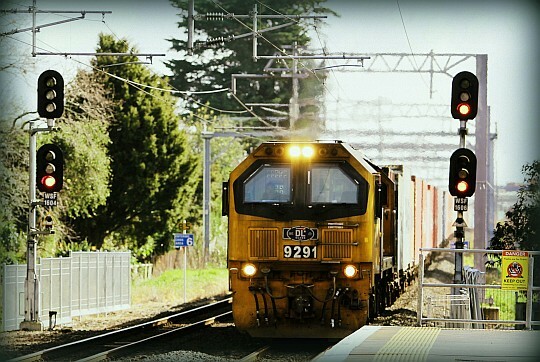 Ride on a freight train, a commuter train (and a tourist train) and connect with people about the importance of rail and rail safety in New Zealand, now and in the future. Take a ride in the cab of a modern train, powered by diesel or electricity or both and debate the advantages and disadvantages of each for the jobs they do in the places go. "High engagement in the elements presented. Great stimulation for discussion and further investigation. A powerful extension to our EOTC programme". Martin Dodge from Balclutha School (2014 - 2017 Waterview Connection series of virtual field trips). "100% engagement! Lots of discussions both in the classroom and in homes. Really good for the children to see the teams on the videos talking about workplace treaties, working together, effective communication and all the things we talk about at in the classroom - quite a few lightbulb moments for students". 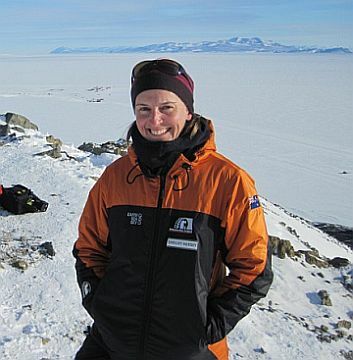 Juliet Pendleton from Pt Chevalier School (2014 - 2017 Waterview Connection series of virtual field trips). "Really got us thinking about cars, traffic, air pollution (in the tunnels) and safe alternatives like cycling. Very engaging and relevant material, presented well". John Brunton from Marshall Laing School (2014 - 2017 Waterview Connection series of virtual field trips).